If you have children and you have filed your divorce in Baldwin County Alabama, you and your spouse are required to take a transparenting course before your divorce decree is granted. The transparenting class is a four hour course held on Saturdays. 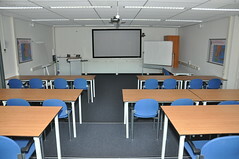 The course discusses three main topics. First, it discusses the typical ways children react after their parents get a divorce. The course also gives one the skills to help children cope during the divorce process and beyond. Finally, it discusses the visitation issues one might encounter. The organization in charge of running this program in Baldwin County is the CARE House Inc. located in Bay Minette, Alabama. You have to sign up for the course. Here is a link to the Care House Transparenting Brochure / Registration Form. Here is the Transparenting Class Schedule for 2012 for Baldwin County. If you have a divorce pending in Mobile County and you have children, you will also have to take the transparenting course. However, if you have filed an uncontested divorce, you can take your the transparenting course after your divorce has been granted. But if you have filed a contested divorce you will have to take the course prior to the judge granting your divorce decree. Here is the Helping Kids Cope | Transparenting Flyer – Mobile that will answer many of your questions. Here is the Mobile Coping with Divorce Course Registratation form. Contact a divorce attorney at the Monk Law firm to discuss your situation or the divorce process.